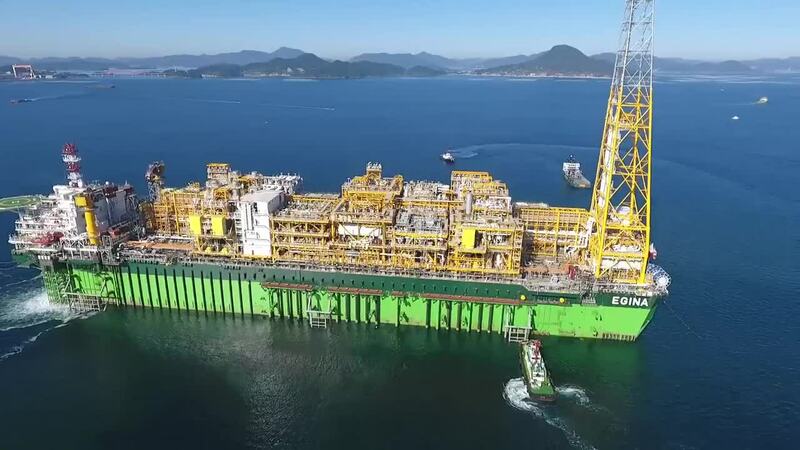 In this drone video, you'll get a bird's eye view of the launching of a type of floating factory known as a Floating Production and Storage Offloading (FPSO) ship. These massive ships work in offshore oil and gas production fields, processing and storing hydrocarbons before they are transported to consumers around the world. Originally converted tankers, FPSO's are now dedicated built for purpose vessels. This one is being launched in South Korea, en route to the offshore fields of Nigeria.